This book is a must read for those readers who are not familiar with the idea of ego states and how to engage them in the process of therapy. And for those who utilize ego state therapy routinely, this book is a treasure trove of creative ideas to add to their toolbox. Easy to read and easy to apply, Robin Shapiro delivers on her title. Shapiro describes Ego state therapy as a powerful, flexible therapy that helps clients integrate and reconcile the different aspects (or parts) of themselves. She normalizes the idea of “parts”, and by doing so allows for some very helpful, compassionate and creative interventions. This book is broken down into two parts. Part I guides the reader to a greater understanding of ego states and provides some foundational interventions which should not be unfamiliar to any of us (think Calm safe place and Internal caregivers…). Then she goes into greater detail outlining ways in which we can work accessing positive states; working with infant and child states, as well as enhancing that protector part. Part II goes deeper and offers problem specific interventions, such as working with trauma, relationship challenges, personality disorders, suicidal patients, as well as cultural, familial and abuse-related introjects. She has wonderful case presentations to demonstrate these simple-to-use interventions as well. She also provides succinct summaries at the end of each chapter. This is the type of book that doesn’t need to be read in order. The reader can go to any specific chapter independently. But the entire book is so chock full of great interventions that one will want to savor the entire thing. This is definitely one to own! This refreshing reworking of the standard EMDR therapy text is required reading for all serious EMDR practitioners. Dr. Shapiro continues to present the model concisely, with precision and compassion for human suffering. 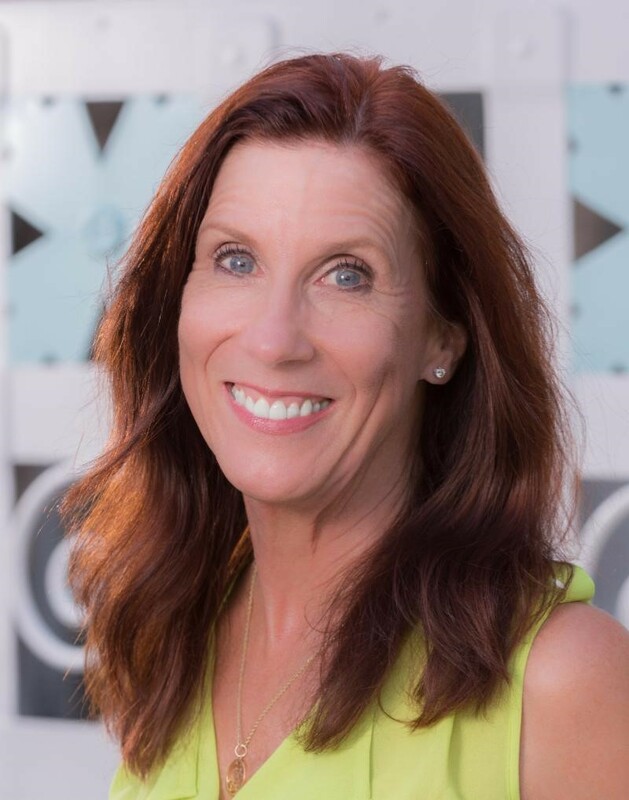 Her fervor is evident throughout and pushes her passion for research to validate and further develop this comprehensive psychotherapeutic methodology. Broadly acknowledged world-wide as an evidence-based model for treating PTSD, the third edition expands the utilization of EMDR therapy for other conditions including the treatment of complex trauma, addictions, pain, depression, early interventions, moral injury, as well as post-disaster response. This edition includes information gleaned from research since the 2001 edition. More understanding about the possible neuro-biological processes at work during reprocessing informs better treatment practices, including the preference for eye movements over other forms of bilateral stimulation whenever possible. In this volume, Dr. Shapiro maintains a gentle conversational tone as she guides us through theory, science, procedures and purposes of the eight phases and three prongs of EMDR therapy. All of this is illustrated with helpful case examples which demonstrate her passion for alleviating suffering. This new edition of the definitive EMDR text belongs on the nightstand of every EMDR therapist! 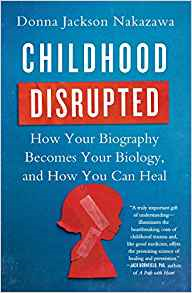 Donna Jackson Nakaza’s book, Childhood Disrupted: How Your Biography Becomes Your Biology and How You Can Heal, links Adverse Childhood Experiences, otherwise referred to as ACE, to adult physical illness. With an in-depth explanation of ACE Study research findings, Nakaza open’s our eyes to the long-term physical impact of childhood trauma. 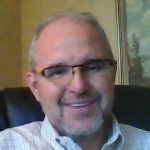 While not many people make it through childhood unscathed, some are seemingly serving a life sentence of mental and physical distress initiated by childhood traumas that, if left untreated, can lead to immune deficiency disorder, cancer, and a plethora of other physiological and psychological illnesses. 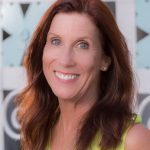 Through stories of case studies, she describes how people can literally “reset” their biology and begin the healing process through reprocessing their traumas. Insights shared in Childhood Disrupted are especially helpful for EMDR clinicians, as therapeutic change surrounding dysfunctionally stored material is expedited by incorporating the Adaptive Information Processing, AIP, network into treatment. Thus, supporting one’s capacity to heal. While somatic work is an already well-known, key component of EMDR therapy, as marked by the Body Scan in Phase 6 of the standard EMDR protocol, perspectives presented in this book provide a deeper understanding into how the past can not only become one’s present, but can also go on to become one’s future if effective reprocessing doesn’t occur. As an EMDRIA Certified EMDR Therapist, I find this information to be informative and fascinating. Childhood Disrupted is an important read for all mental health clinicians, regardless of their preferred therapeutic modality. 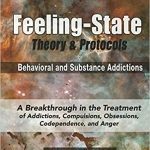 This book is a comprehensive look at the Feeling State Theory, complete with treatment protocols to implement with clients plagued by various compulsions and addictions. Many clinicians grapple with the struggle clients face when seeking to change destructive behavior and often witness a cycle of ongoing relapse and possible defeat. This text aids the therapist in understanding and identifying a client’s underlying “Assured-Survival Feeling”, such as the feeling of being loved, belonging or safety, which is then coupled with the undesired behavior. Employing a modified EMDR protocol, the clinician can eliminate the feeling-state propelling the compulsive and/or addictive behavior. Practical solutions for identifying feeling-states and multiple examples are woven throughout the book, providing a deeper understanding of the positive feelings which motivate maladaptive behaviors. 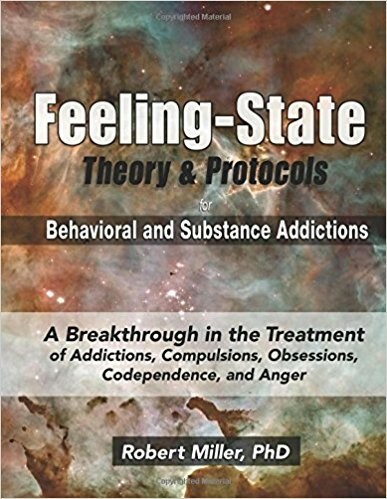 A clear explanation of the Feeling-State Theory is given, utilizing examples in multiple settings, charts and clear-cut terminology, and case studies involving numerous behavioral addictions. Two Feeling-State protocols are provided, along with other helpful protocols to assist with other clinical concerns surrounding behavioral addictions. Especially helpful is a chapter dedicated to Feeling-State dynamics, providing the clinician a deeper understanding on how to identify the specific Feeling-States associated with the behavior, which can be illusive at times. The detailed manner in which this book has been written provides the clinician a more complete understanding of addictions and an increased confidence when working with clients. 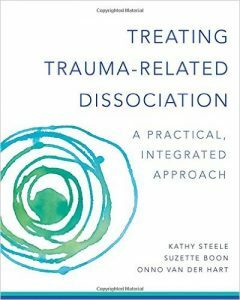 At last we have a comprehensive text which combines solid and current theory with practical clinical approaches to the treatment of complex trauma and dissociation. Goldilocks would approve of this resource: Not as hard as The Haunted Self: Structural Dissociation and the Treatment of Chronic Traumatization (van-der Hart, Nijenhuis, and Steele, 2006) and not as soft as the workbook Coping with Trauma-Related dissociation: Skills Training for Patients and Therapists (Boon, Steele, and van der Hart, 2011). This volume is “just right” in that the authors provide a one-stop synthesis of theory and practice. The EMDR therapist will appreciate the clear connections made between The Theory of Structural Dissociation of the Personality and Adaptive Information Processing (p 422). The foundational EMDR concept of Dual Attention is also expanded upon to assist work with complex cases (p. 446.) Also, EMDR specific interventions are referenced, though not specifically taught. Many of these are explained more fully in EMDR and Dissociation: The Progressive Approach (Gonzalez & Mosquera, 2012) and EMDR Toolbox (Knipe, 2014) which are widely referenced throughout. 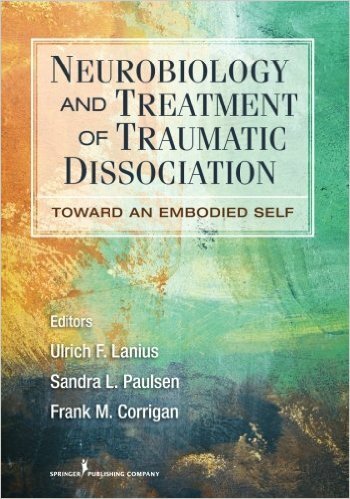 This volume fills a much needed void in the literature since it informs case conceptualization from an integrated theoretical perspective and guides the therapist through many of the inevitable pitfalls of treatment in a systematic way that allows one to understand where they are on the treatment map and what the next helpful destination is likely to be. The concepts, skills, and interventions outlined in this book will be immensely useful for treating slightly less complex cases such as personality disorders and chronic depression. I highly recommend this for EMDR therapists who are confident in the standard protocol and are ready to go deeper in treating complex cases. This quote sets the stage for parents to truly understand why they are feeling so overwhelmed with regard to their children’s challenging behaviors. This book helps the reader understand exactly what is going one with their wounded children, and what they can do to help their children and themselves. 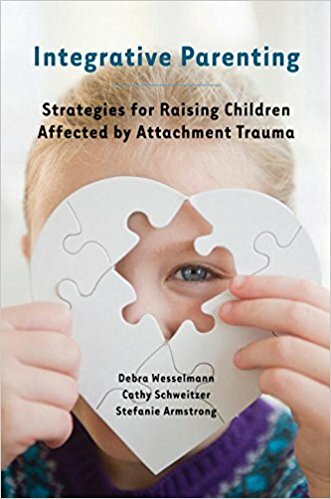 Here is an easy to read, comprehensive book that allows parents and caregivers of traumatized children to more fully understand attachment trauma, and learn specific ways to interpret the child’s behavior and intervene effectively to create change. Each of the five chapters builds on the previous one, and all provide great insights and strategies. Chapter One helps parents change their perception of their child’s behavior. (For example, Scared Children vs. Scary Children). It assists the parent to understand the profound neurological effect of attachment trauma. Helping the parent/caregiver with this important paradigm shift will allow them to consider responding in a more intentional way. Chapter Two details how caregivers can specifically create connections and begin to establish a healthier attunement with their children. It also educates the caregiver on how to bring joy, laughter and play back into the home, and how this serves to strengthen connection. Chapter Three provides explicit solutions to challenging behaviors. Specifically it discusses “meltdowns” and how to begin to recognize their phases, as well as how to respond effectively in each one. And finally Chapter Five provides specific “how to’s” and “how not to’s” with regard to boundary setting and consequences. The authors remind the reader that discipline means “to teach”. Helping the child gain insight into cause-and effect relationships will help him or her to link personal choices to outcome. This chapter will assist caregivers to consider how and when to give consequences and how to reward positive behaviors effectively. This book is written by EMDR trained therapists, but it does not discuss EMDR treatment or use AIP terms. 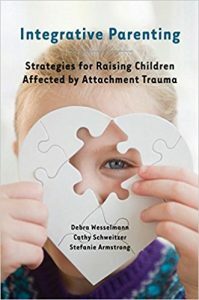 However, EMDR informs the authors’ perspective in providing an excellent and easy to understand reference for parents who seek to understand attachment trauma, be part of an effective treatment team and ultimately help their child heal. Edited by Ulrich F. Lanius, Sandra L. Paulsen, and Frank M. Corrigan. An important and much needed addition to the complex trauma literature, this is not light reading! However, if one takes the time to carefully wade through the neurobiology, better informed treatment interventions and strategies can be crafted and utilized for individual clients. 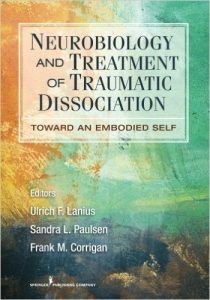 Seventeen authors, all experts in the field, have contributed to this volume which is divided into two parts: Neurobiology and Treatment. The first chapters can be daunting! (Honestly: the first time through Chapter 1, I merely sought to pronounce the words!) As one continues to read, certain key concepts are reinforced from a neurological and clinical perspective. For example: top/down vs bottom/up movement and synthesis of information (or not) in the brain. Traumatic experience often impedes the flow of information from upper, middle, and lower brain regions. Adaptive information processing requires an integrated exchange between these regions. This book is particularly helpful for EMDR therapists since all of the treatment methods presented are designed to facilitate blocked information processing. Complex trauma implies the failure in the development of secure attachment and the adaptive developmental milestones associated with good-enough parenting. These developmental failures have neurological implications which are not easily responsive to the top/down, (i.e., cognitive/emotional/somatic) interventions of traditional talk therapy. As the reader develops greater insight into the neurological implications that result from early life trauma and attachment disruption, more meaningful and useful interventions can be employed. These are beautifully highlighted in the second part of the book. The three key treatment methodologies given attention are ego state therapy, sensorimotor therapy, and EMDR therapy. One of my favorite things is a chart in a chapter by Frank Corrigan which lists twenty-one defense response states which can underlie dissociative self-states. For example, the “fight” response can be further subdivided into fight-active, fight-obstructed, fight-frozen, fight-predatory, and fight-submissive. He goes on to indicate characteristic beliefs, emotions, and body states which correspond to each. Different self-states typically hold a different response to the same experience and may need separate interventions from the therapist. 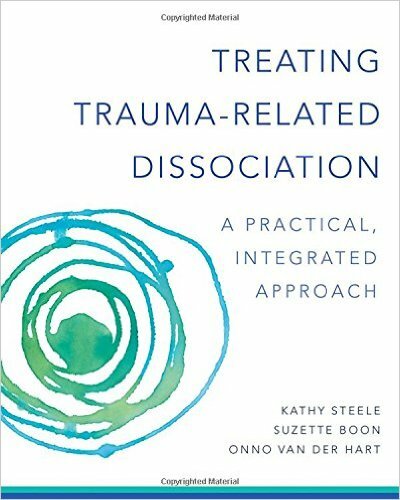 Probably too heavy as an introduction to complex trauma and dissociation, this book has a valuable role in deepening one’s capacity to treat challenging clients more effectively. There are more digestible resources to get started in this area, however, few resound with this level of clinical depth.